The same can be said of your Japanese teachers. At the end of the day, they’ll probably tell you to learn Japanese through more traditional methods—but what if you’ve tried books, CDs and conversation classes, and the knowledge just doesn’t stick in your brain? Or worse, what if you’re just not interested? Well, there’s another way of picking up the lingo that puts fun at the center of the learning experience. Now more than ever, the potential of using video games as an educational tool is really kicking off. 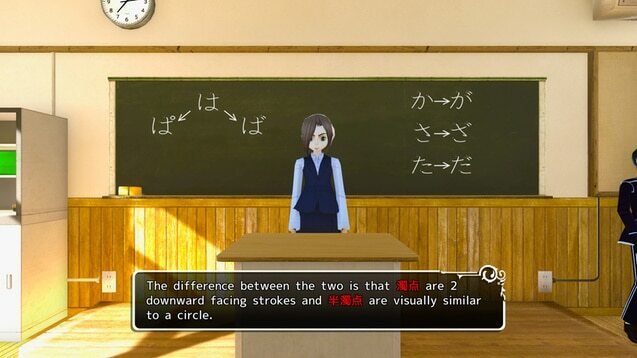 There are some great games that can help you vastly improve your Japanese skills, especially if you’re a beginner. If you’re the type of person who’s constantly glued to your phone or personal computing system? If you can’t get enough of your computer or Xbox One? Even better. Here’s a list of Japanese games on various technological platforms that you can use to your advantage. This one is perfect for playing on the go. 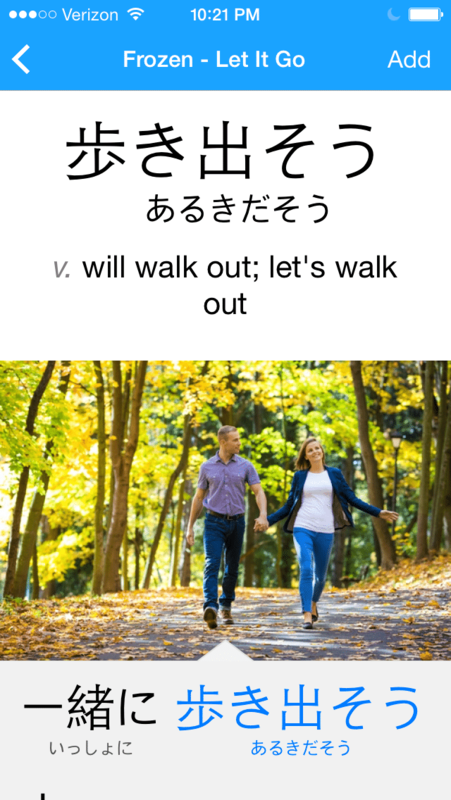 Whether you’re going to school, work or abseiling down that mountain, “Learn Japanese with Tako” is right there by your side on your smartphone. 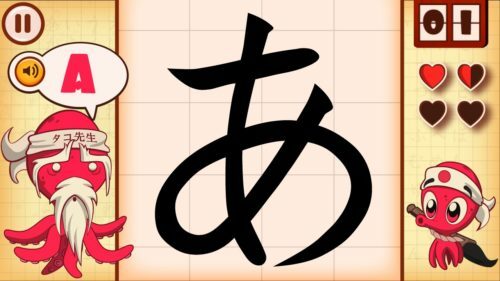 The app released back in 2015 for Android and iOS devices (and Amazon) under the name “Tako’s Japanese,” and it’s best described as a casual educational app that assists you with learning the stroke order of the three Japanese writing systems: Hiragana, katakana and kanji. It comes with an elaborate writing system supporting touch controls, enabling users to memorize the stroke orders of various characters. “Learn Japanese with Tako” earns its ludological stripes with its assortment of mini-games, which act as learning reinforcements or summaries of the lessons you’ve previously completed, and include playing baseball, serving customers at a restaurant as an octopus waiter and enjoying a variation on everybody’s favorite game for releasing pent-up frustration—Whac-A-Mole. Lower-level learners looking to score well on their JLPT (Japanese Language Proficiency Test) are in luck, because “Learn Japanese with Tako” comes with all the hiragana, katakana and kanji pertaining to level N5 (the easiest level of the test). A language learning simulation that supports more than 15 languages, “Influent” was released back in March 2014 to mostly positive reviews on Steam, Valve’s digital distribution service for PC games. 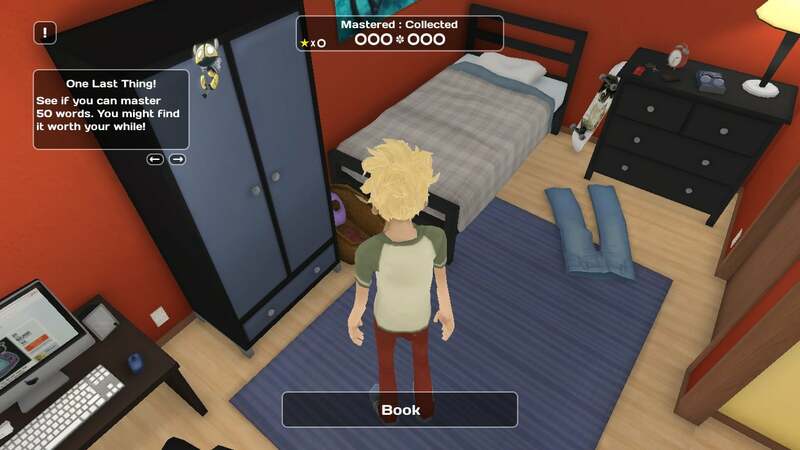 “Influent” draws inspiration from Sega Dreamcast classics “Shenmue” and “Toy Commander,” and it utilizes a 3D environment which is completely interactive and saturated with objects for players to discover. Since the focus of “Influent” is to teach players pronunciation and facilitate vocabulary acquisition, everything in the environment is named and readily identifiable through the power of a click. Similarly, all the audio recordings have been sourced from native Japanese speakers, ensuring that language learners are familiarizing themselves with correct pronunciation from the start. Those interested in “Influent” can try it out today for $9.99 USD for PC, Mac and Linux operating systems. From Melbournian developer Sleepy Duck comes an anime-studded educational adventure that contains all the basics for picking up katakana, one of the three main Japanese writing systems. With the help of over 2,000 Kickstarter backers, “Learn Japanese To Survive! Katakana War” almost tripled its original funding goal of $5,000 AUD and ended up raising $29,275 AUD in total, which meant stretch goals such as partial voice acting, an illustrated manga chapter and hiragana and katakana flashcards could all be realized. It released earlier this year to positive reviews, and if you’re just beginning your Japanese language learning adventure, “Learn Japanese To Survive! Katakana War” is ideal since no previous experience or knowledge is necessary. 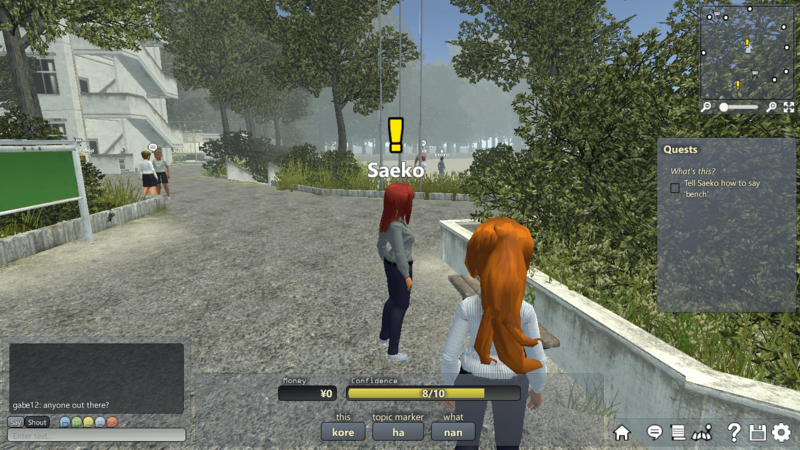 The game is structured so that, at the start of each chapter, players learn several new katakana characters, after which they’re free to explore the surrounding environments where there are friends to be made and dangerous enemies to be battled. It’s in the latter—the dangerous enemies—that “Learn Japanese To Survive! Katakana War” lives up to its name. All the bad guys are shaped like katakana, and the only way to defeat them is—you guessed it!—translating them correctly. “Learn Japanese To Survive! 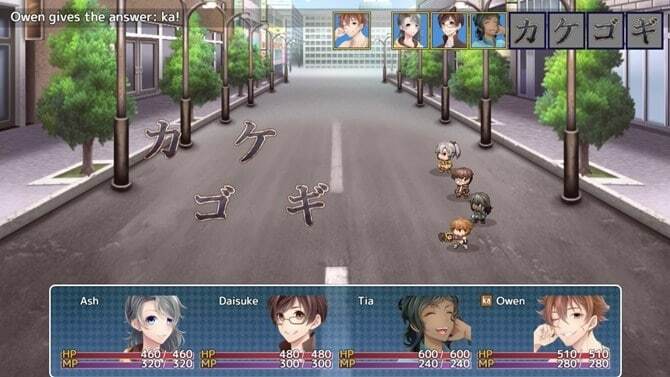 Katakana War” is currently available for PC and Mac via Steam at $6.99 USD. And there’s also a “Hiragana Battle” game from this same developer, so you can keep the learning going. “Koe” is a JRPG, or Japanese Role Playing Game, that had a very successful Kickstarter during 2014 and is expected to launch sometime in 2017. There’s currently a second alpha demo available to play—so it’s still being tested, but it’s also creeping closer to completion. “Koe” really has something special to offer learners looking to supplement their studies, and even works from a purist, non-educational game perspective. Developer Strawberry Games (Jitesh Rawal) emphasizes that, before anything else, “Koe” is a game, so it will run as such, complete with story, item collection, leveling up and engaging in random bosses, all in true RPG style. Like “Learn Japanese To Survive! Katakana War,” this is a game that lets you use words as weapons and gives you an introductory look at Japanese, so there’s absolutely zero pressure to come to it with background knowledge. The biggest content difference between “Learn Japanese To Survive! Katakana War” and “Koe” is that the latter also offers the chance to learn kanji along with full Japanese words and phrases—it’s going to be more well-rounded, in its final form. An oldie but a goodie, “My Japanese Coach” originally came out in 2008 and was Ubisoft’s attempt to help Japanese language learners pick up native pronunciation, learn new vocabulary and memorize the stroke order of hiragana and katakana. It received mixed reviews upon release, with some critics claiming its explanations can be confusing and others praising the game as a solid edutainment title. Regardless, if you’re in possession of the original Nintendo DS, it’s nice to know that you can still purchase this game on eBay and elsewhere online. In addition to the more classroom-oriented activities, there also are some fun mini-games to play including word searches, flashcard games and multiple-choice tests. For a taste of the gameplay, check out this playthrough presented by a YouTuber. 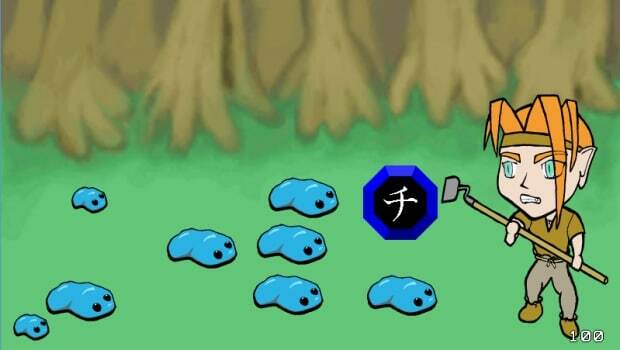 Also known as Project LRNJ: Learn Japanese RPG, “Slime Forest Adventure” is a free adventure game that promises to teach you hiragana, katakana and kanji. There are paid upgrades which have a greater focus on learning how to read Japanese and offer an expanded range of kanji. For complete beginners, the free version does a pretty good job of providing casual katakana lessons. Graphically, it’s very basic, top-down affair. I’d compare it to something like the original “The Legend of Zelda” game for the Nintendo Entertainment System. There’s no music either, and without doing the supplementary training options first, the game mode will probably seem slightly confusing. Gangs of green slimy creatures descend on you, and they can only be defeated by you correctly identifying the katakana on screen. Defeating them earns players gold coins, which can presumably be used later on to purchase new items. 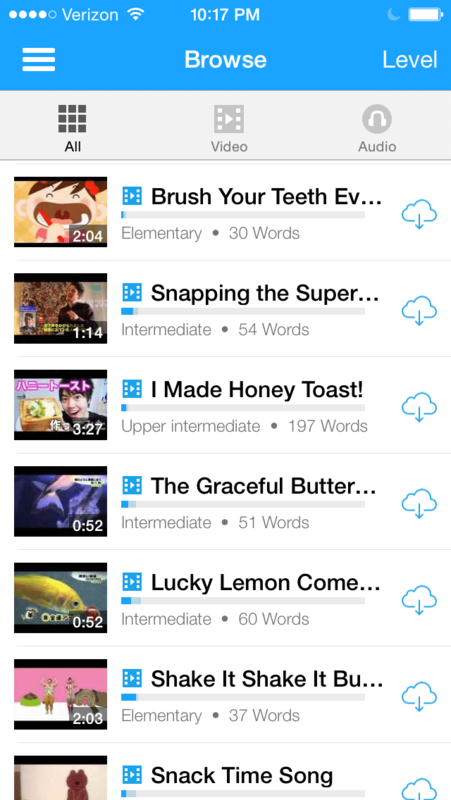 In terms of educational benefit, I’d say the katakana word primer stands out in particular. It requires you to quickly read longer words in katakana presented in a vertical fashion, which is something you’re likely to encounter almost everywhere in Japan. The hiragana primer, too, is good for this. Even though both primers are framed in a repetitive loop where acquiring gold coins serves no real purpose, they do repeat characters you’ve struggled with, which can greatly aid your memorization. “Crystallize” is another free Japanese learning game which comes from some computer science students—this time at Cornell University. Those kids and their educational games. It’s an immersive, interactive experience that uses conversations with NPCs (non-playable characters) as the driving force behind gameplay. Players can collect the words that NPCs use, saving them in a vocab piggy bank for future situations like job searches and making new friends. 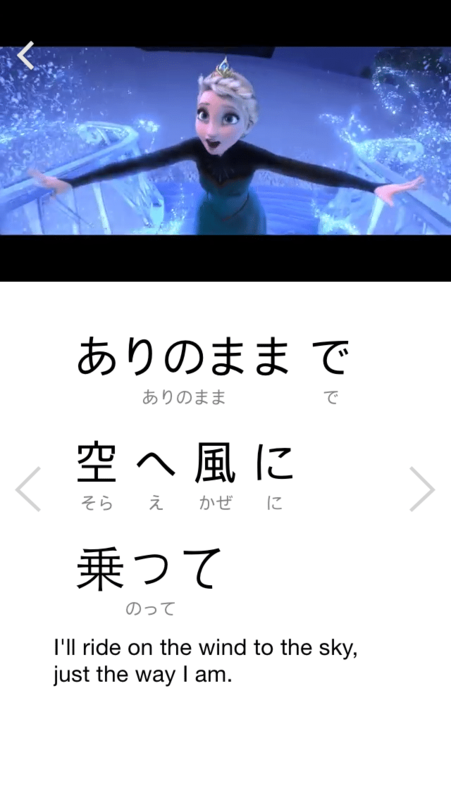 At this stage, “Crystallize” is still a prototype, but if you have no experience with Japanese whatsoever, it’s great because it starts off in romaji (Roman letters) and basic greetings like hello (こんにちは), good morning (おはようございます) and goodbye (さようなら). There’s the upbeat, jazz-pop fusion playing in the background that’s characteristic of many anime series, but naturally, the visuals still need some work. After selecting your character’s name, gender, hair and eye color, you’re free to explore the halls of a school and scope out new words to add to your repository. Interestingly, collecting words you aren’t familiar with can decrease your confidence meter, which can definitely ring true with real-life situations! At the end of each day, you return home to review all the words you’ve picked up. Unfortunately, there are no audio recordings to help with pronunciation, but it’s good for vocabulary reinforcement nonetheless. 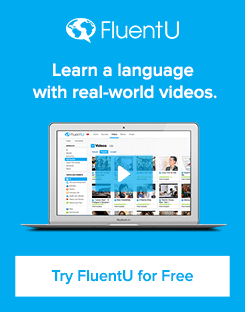 FluentU might not be strictly a game, but it’s definitely a fun way to learn! The program gamifies language learning, and is a great way to study when you want something more immersive but still entertaining. There are lots of assumptions out there about the right way to learn a language, but the truth is, learning can happen anywhere—even in video games. 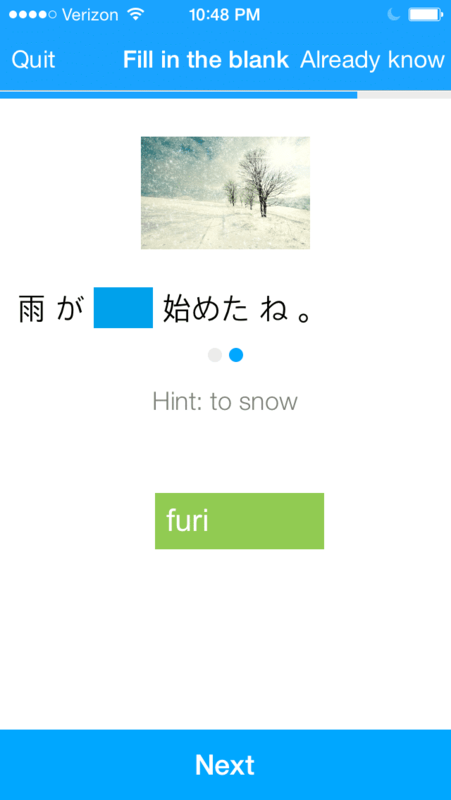 From PC to mobile, there are heaps of interactive ways to learn new words, pick up grammar points and even memorize kanji stroke order. So, next time your mom or dad appears in the doorway ready to shout the immortal line, just refer them to this article.